Savvy Spending: Amazon: LEGO-compatible 20 mini figures for as low as $4.50! Amazon: LEGO-compatible 20 mini figures for as low as $4.50! Here's a fun and inexpensive stocking stuffer! 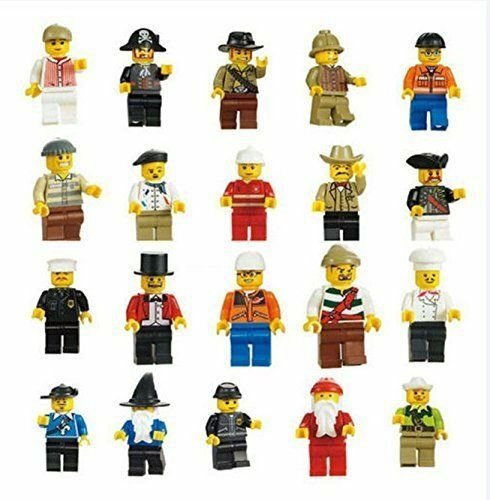 Amazon has this Generic Men People Minifigures Toy (Lot of 20) for just $6.70, if you purchase as an add-on item (with a $25 order). OR, look on the right hand side and you'll see more buying options, some as low as $4.50! That makes each mini figure just 23 cents! These are not LEGO brand but are LEGO compatible and get great reviews!